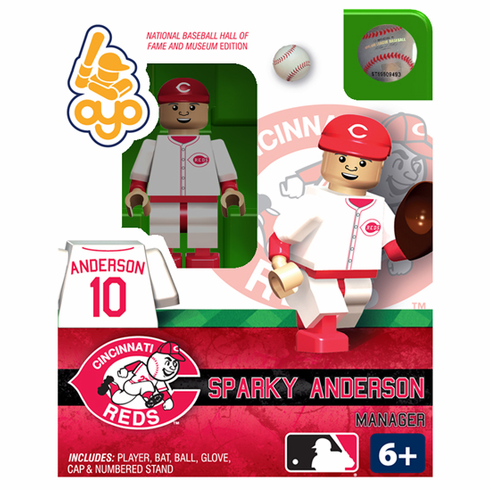 Sparky Anderson - Cincinnati Reds Special Hall of Fame Edition OYO Mini Figure! This will surely be a collector's item. Don't miss out! Special "Hall of Fame" Packaging includes HOF artwork on the Oyo package.